The only medical massage chair in the industry to be fully researched, developed and assembled in the USA! Luraco Technologies has combined its expertise in intelligence and engineer to bring forth the 7th generation of its iRobotics massage chair, now bolder and better than ever before! Since its inception, it has been become world renowned for being “Best of Show” (CEDIA Tech Show 2016), “Best Quality in Home Furnishings” (Innovation & Tech Today Magazine 2016), “Best of CES 2017” (Health & Fitness, International Consumer Electronics Show, 2017) and is the selected massage chair brand used in all military and veteran bases across multiple states in the US. The iRobotics 7 has been designed with the end-user in mind and boasts of performance and quality as its measures of delivery quality user experience. Medically acclaimed and design-approved, sit back and relax as you get your massage on, and rest assured that your body is in the hands of the industry’s very best. The Luraco iRobotics 7 Medical Massage Chair features head-to-toe coverage with a full body heat therapy system (feet, seat and back) and up to 5 levels of massage intensity options. It runs on a powerful operating system that facilitates advanced technology and integrated health monitoring features to ensure your body is well taken care of. 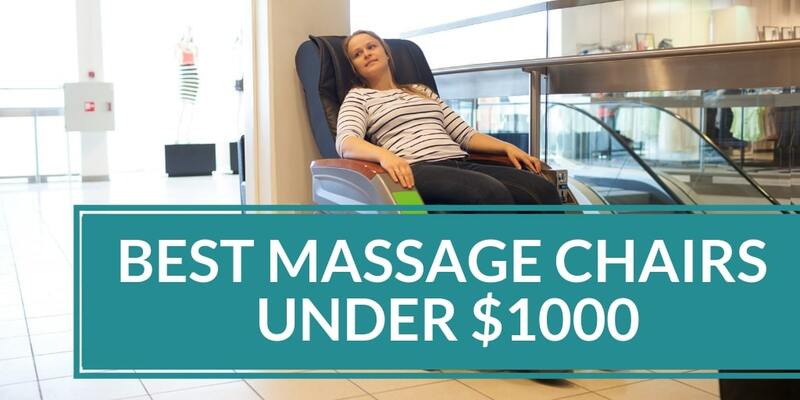 The first US UL and FDA listed medical massage chair in the world with proven health benefits. Research by an independent professional research institute from Webster State University has revealed the effectiveness of the iRobotics 7 as a stress management and pain relief tool based on quantitative collected data. The massage chair uses the latest and greatest in intelligent sensor technology to accurately detect body shape, and length, and is also able to then gather and produce intelligent self-diagnostics on the user. It also features a smart touch screen accompanied by an easy to use remote that is the industry’s first touch screen controller. The advanced technology also has brightness settings that makes the remote easy to see and manipulate at night time too. Zero gravity is a technique that ensures the user’s body posture is in neutral position and its weight is spread out so that the body remains almost weightless during a massage. 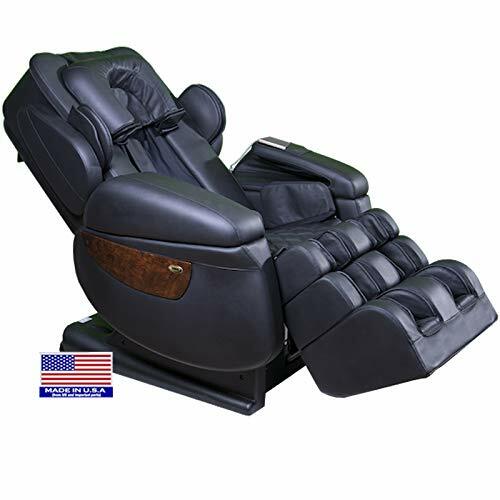 There are 3 different adjustable levels, with the fully reclined level offering users a therapeutic effect which can be felt almost immediately. With body swivel and stretching features, a 3-layered foot and calf massager with double rollers and 2 position foot stretching, 9 automatic pre-set programs and endless customizable individual body part massage settings, all powered by 100 air cells and 12 powerful motors, the iRobotics 7 is unlike any other chair in the massage therapy industry. Up to 5 personal user memory settings for the entire family to enjoy. Advanced noise reduction technology makes it the quietest chair in the industry. Human voice response settings in English, Vietnamese, French, German, Japanese. Korean and Spanish. MP3 player with built-in stereo speakers. 5 year manufacturer warranty with commercial warranty also offered. Max user height recommended up to 6’7”. Heavy weight may make it difficult to move around easily. Although it is priced on the high-end, the Luraco iRobotics 7 Medical Massage Chair is the go-to massage therapy chair without a doubt for all your chronic pain and stress relief ailments. Medically approved and patented, your body is guaranteed to receive the care, healing and restoration it requires and deserves, all from the heart of your home.